Get wild with your drinks. It is fun to get creative with left over fruit or seasonal stuff that is in abundance at your market. It is so easy. I used to think making lemonade took 20 lemons but it really only takes 1. 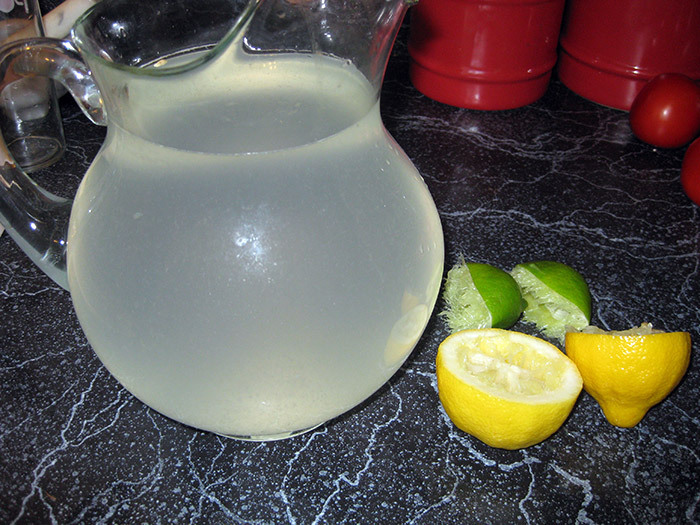 Put ingredients in pitcher and fill up with water. Mix well and store in the fridge. I just pick my drink flavor base, mix with 1/2 cup sugar and water. Drink freedom. Power to the people.